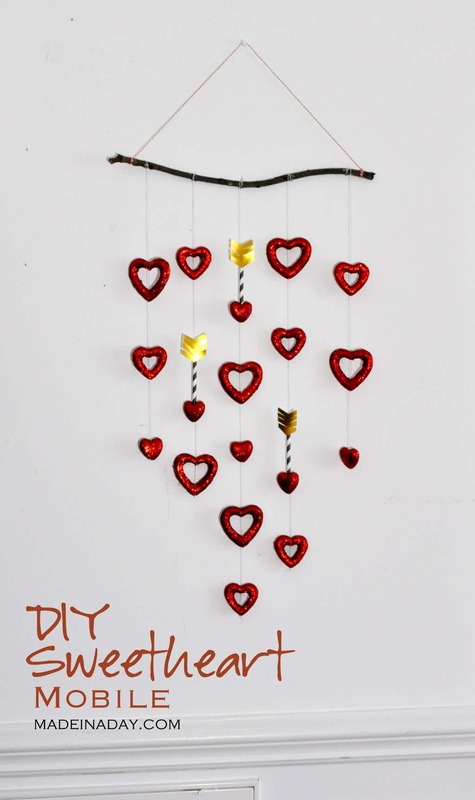 Learn to make a Valentine Sweetheart Mobile. Valentine’s day DIY budget craft using dollar store supplies! 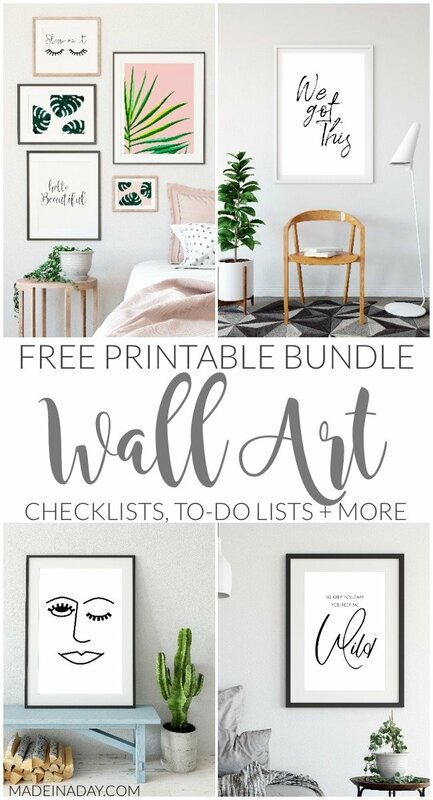 Super cute for home or office! 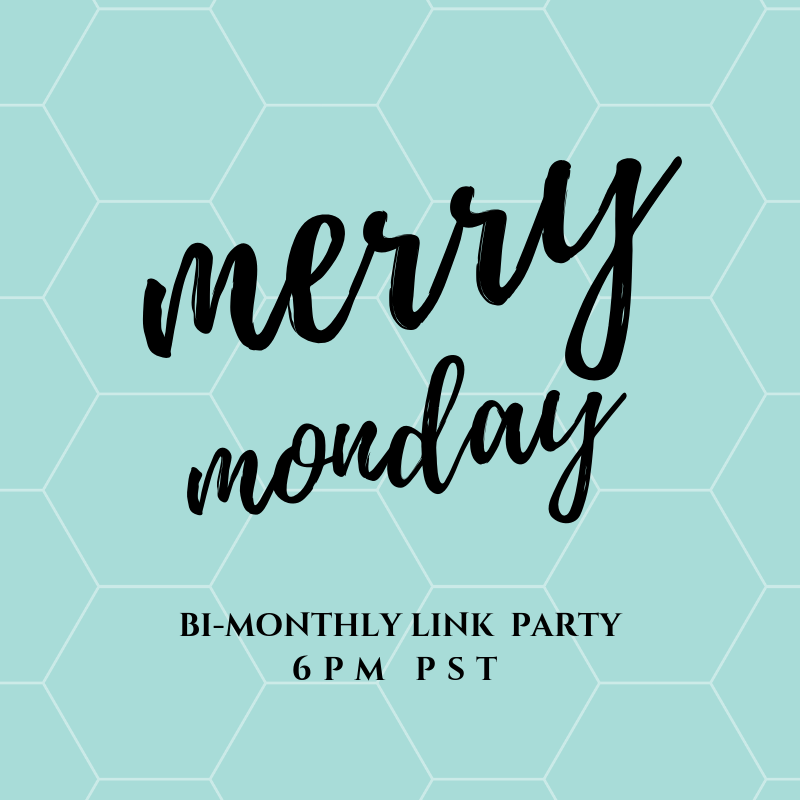 See my Valentine’s Day page for more holiday fun! 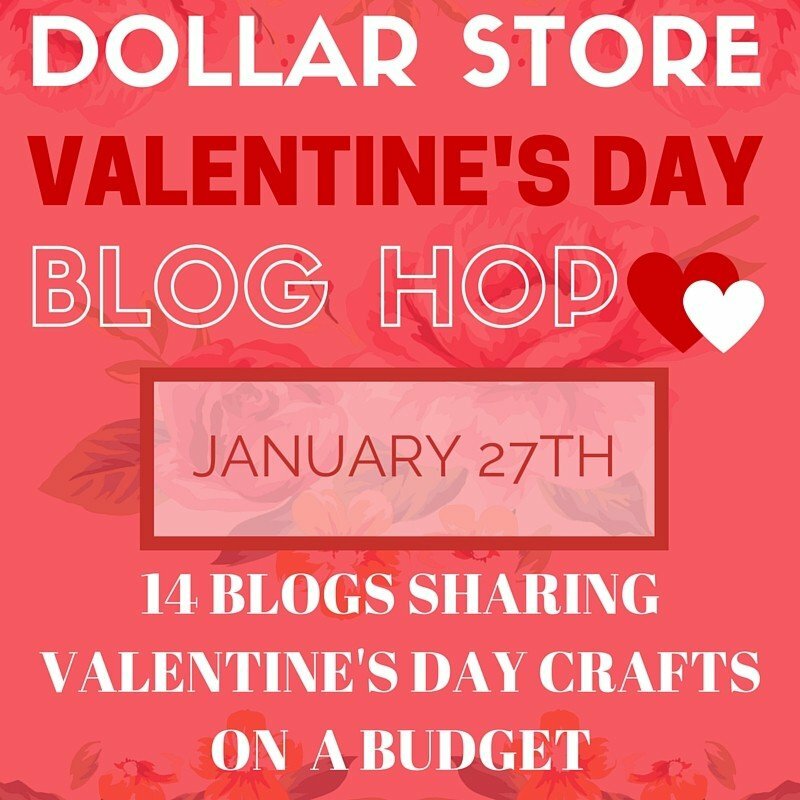 With Valentine’s Day just around the corner, me and 13 of my favorite bloggers got together to Share Valentine’s Day crafts on a Budget! 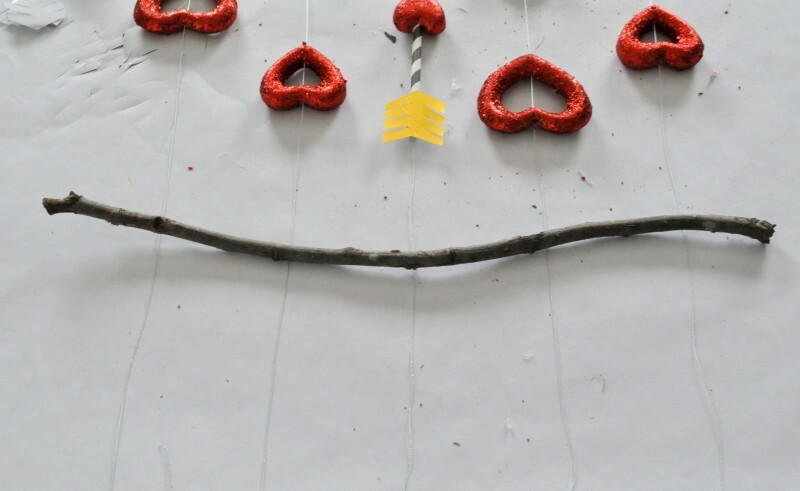 We were given a budget of no more than $10 and challenged us to create a Valentine’s Day craft using items from the dollar store or dollar section of their local stores. Here is how I made my Valentine Sweetheart Mobile! The glitter heart hangers are strung on fishing line. 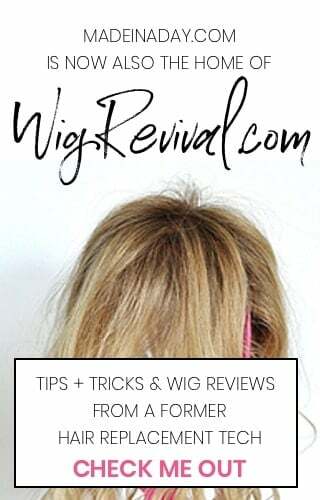 Cut them loose and separate them out by size. To make the arrows: Take a decorative straw and cut it down to around 4 inches. 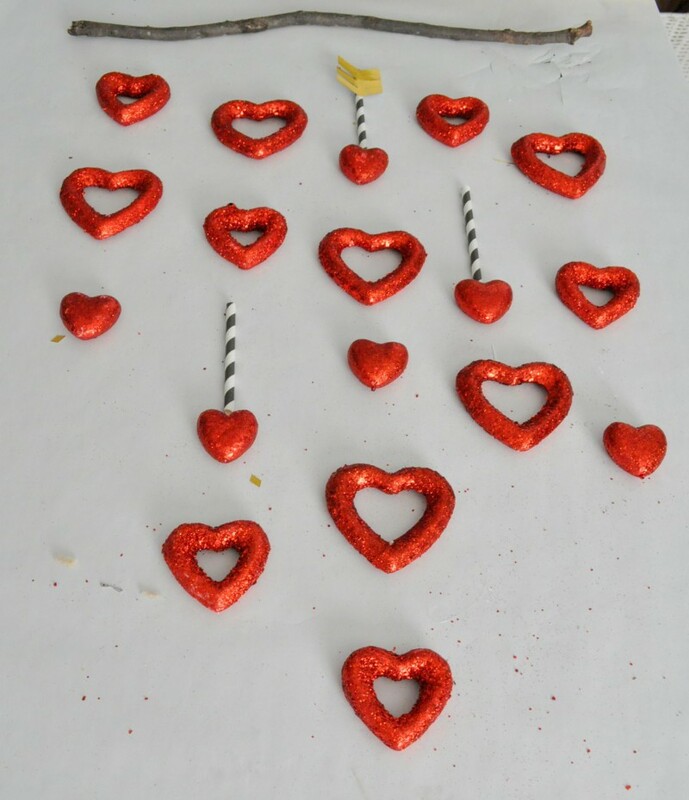 Pinch the end of the straw together and hot glue the small solid hearts to the end of the straw. 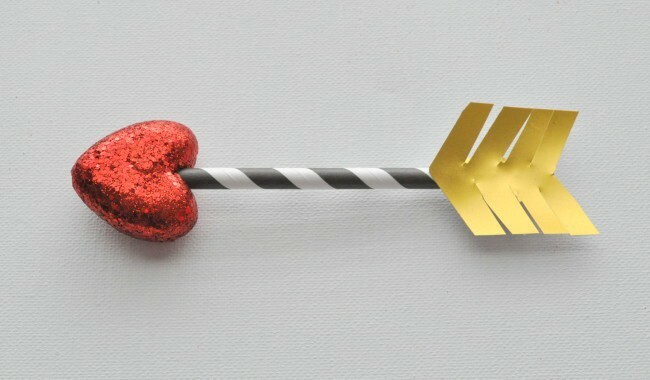 Cut the feather end of the arrow out of gold adhesive back paper cut small slits in the paper and stick it to the end of the arrow. Make three and set aside. Lay the tree branch out and line up your hearts in a random order so they compliment each other. Add in your arrows. Take needle and nylon thread and string up the hearts in the order you chose. To keep the hearts from moving down the string add a dot of glue to the string and pull your heart over the glue. Let the glue dry. Hot glue the arrows to the string. 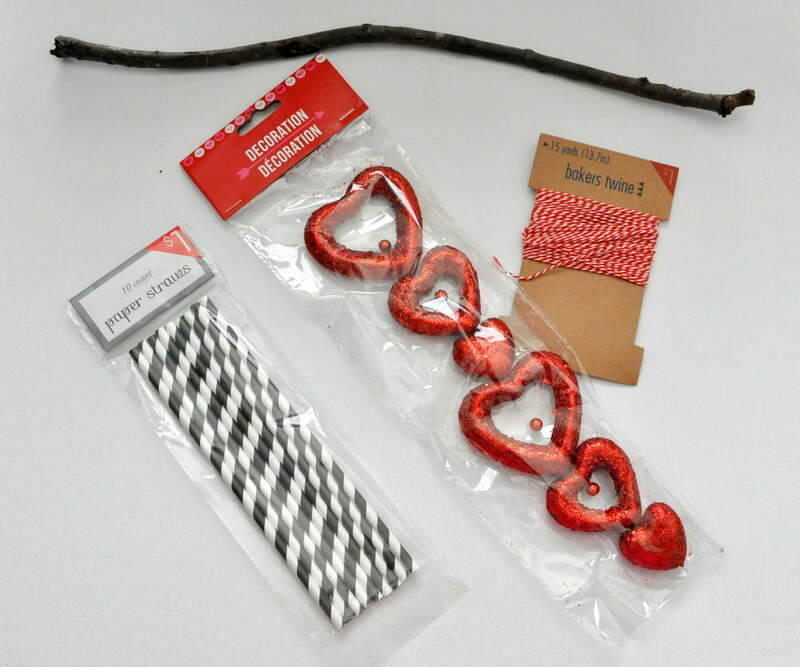 Tie the strings to the tree branch and put a dot of glue on the knot. Tie your baker’s twine to the branch, hang it up and enjoy! And that’s it! 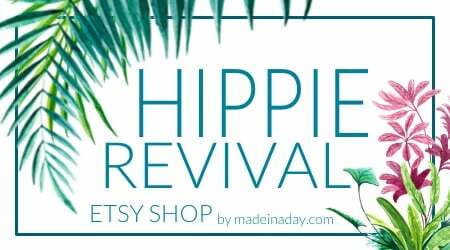 Super cute easy craft and completely inexpensive! 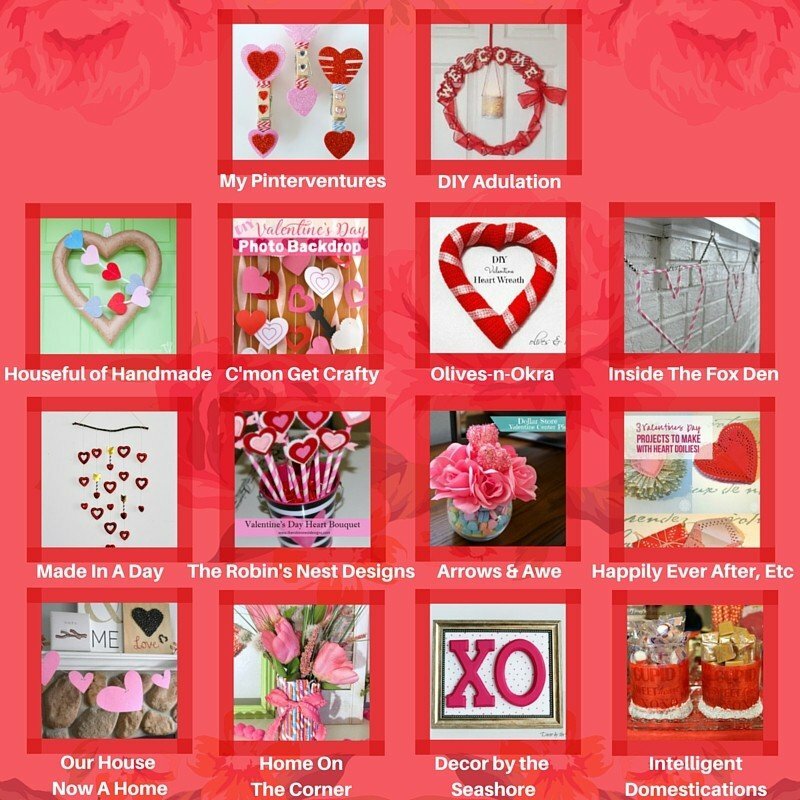 Share your $10 or less Valentine’s Day crafts on the link-up below and be seen on all 15 blogs! That mobile rocks; what a great idea for the arrows! How freaking adorable is this!? I love it, and the arrows are ingenious! Very cute and I love the price! 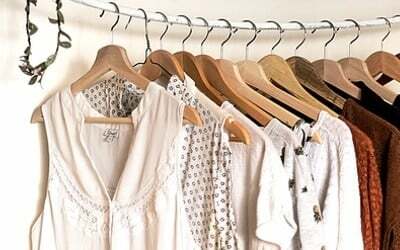 Great V. Day ideas on this page. Thanks for hosting. This is a great project! I love the hearts and arrows. The Dollar spot at Target is such a fun place! Your craft is so creative. I love it, especially the arrows dispersed between the hearts! Very pretty and fun! I’m always surprised how easy and how cool your projects are! Another great hit! Thanks for the inspiration.. this year’s Valentine’s day promises to be awesome! You are too sweet! Thanks so much Alexandra! This is great! I love that you hung it on a tree branch! A little rustic with the bright red and glitter. Awesome! This is adorable! I l LOVE how this turned out! Those glitter hearts are so pretty, and the color really pops against the wall and adds a perfect bit of Valentine’s Day decor to your home! Thanks so much! I’m glad you liked my hearts! Thanks for stopping by and for the sweet comment. Thanks so much Lori and thanks for reading! Your crafts are always so cute and creative! I’m going to have to go back to the dollar store to get some of these glitter house to make one of these. Thank you Erlene! Glad you liked it!! You are too sweet! 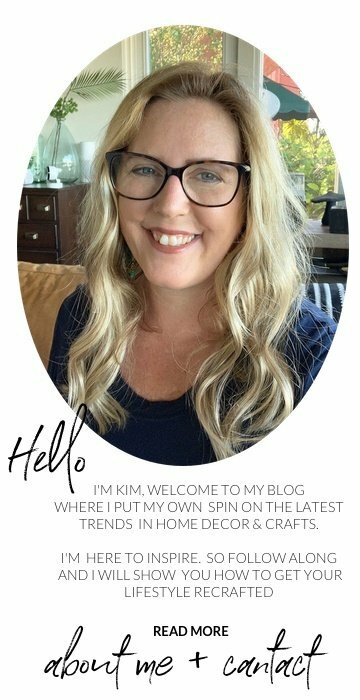 I am participating in the Budget Crafts Blog Hop too. I love how this turned out! I just got rid of some of those hearts in pink. Maybe I should go pull them out of the donation box! Thanks for the great idea! This is so cute! 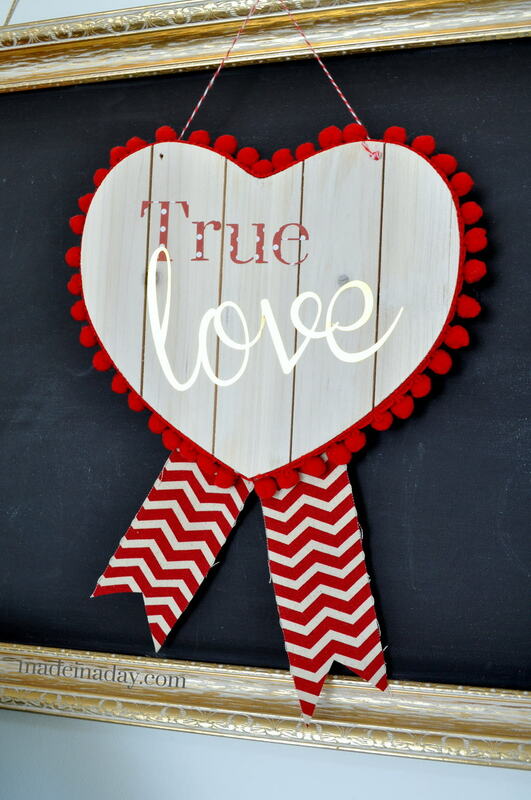 I love the idea of this and hanging it over a table for a Valentines party. Adorable!